Reappraising Nigeria’s Outdated Political Structures – Royal Times of Nigeria. The Nigerian power elite is often accused of working as a cartel. Being one of the least trusted groups of people, politicians are seen as a small circle within the population working tirelessly to keep the majority out of government. Because most citizens are excluded from governance, we have seen Nigerian politics slowly turn into a hostile territory. A survey taken by Afrobarometer in 2015 reveals that seventy-five per cent of Nigerians believe that the level of corruption in Nigeria had increased between 2014 and 2015. Forms of corruption such as political godfatherism and nepotism are so commonplace that they have become norms in Nigerian politics. Contrary to popular belief, however, the problem is not only the politicians themselves, but also the political system they are working within. Centralisation of power predates even Nigeria itself. Prior to independence, like many colonial countries, Nigeria’s future leaders began to congregate in the then-capital, Lagos. These politicians were, in several cases, intellectuals who had studied in Western institutions, and thus approached governing Nigeria with a Western mind-set. That was where the problem began. 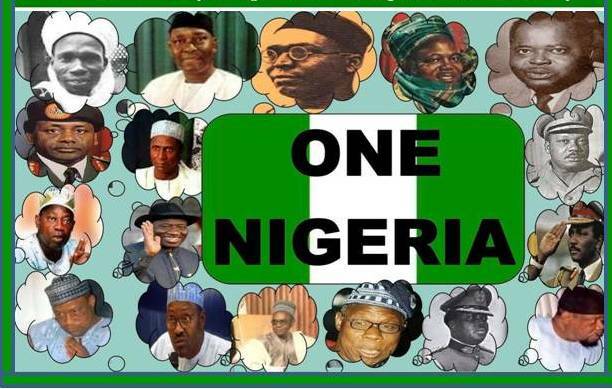 Nigeria’s political structure was never intended to create a stable and long-lasting polity. The political structures we are seeing today were designed so that the British could plunder as many resources from Nigeria as possible. Take, for example, the existence of geographic capitals and political parties. According to philosopher Frantz Fanon, the capital was conceptualized by Western powers in order to coordinate their embezzlement of our resources. Nigeria’s capital was conceived and chosen by thieves and called the Lagos Colony. In a similar fashion, the idea of a political party was adopted from the Western political system without regards to whether it suited our young nation. A political party was prematurely imposed on Nigeria, and unqualified Westernised political leaders set the stage for Nigeria’s precarious political future. Indeed, Nigeria’s outdated political system is a farce with limited representation. As a result of our inability to get rid of the ineffective political structures, several issues persist. The rural population is disenfranchised as a result of the centralisation of power in capitals. Tribalism dominates political rhetoric as a result of the British colonial divide and rule policy. And the parties we see today are borrowed and ineffective Western constructs. An ideal democracy is one that represents and asserts the rights of all of the people. The Nigerian conception of democracy is a far cry from this, as it is held back by outdated conventions. There is clearly a need to revise our political structures according to the realities of daily life here in Nigeria, instead of copying the centuries-old systems of the West. We must do away with antiquated forms of governance if we hope to see any form of corruption eradicated and true representation become the defining characteristic of Nigerian politics. May God Bless our beloved Country, Nigeria.